Thousands of greyhounds just disappear each year - what's happening to them? EACH YEAR IN Ireland, thousands of greyhounds simply slip off the radar after they are deemed too old or simply not good enough to race in the industry. As many as 30,000 greyhounds are born here every year and, clearly, not all of them make it to the track. Huge numbers are abandoned or handed over to rescue organisations and pounds who find it near impossible to re-home them. Others suffer an even worse fate, like the six dogs found shot in the head and dumped in a quarry in Limerick two years ago. The issue was raised recently by Socialist Party TD Paul Murphy who said rescues all over the country, “who are surviving on paltry grants and fund raising are the ones picking up the pieces from the greyhound industry” . Figures from 2006 showed 4,481 litters were registered. With an average of six pups per litter, that would make a total of more than 31,367 dogs. Only 23,700 of these were registered to race. This leaves more than 7,500 greyhound puppies ‘missing’, along with the 8,000 dogs a year that are retired from the industry. Minister for Agriculture, Food and the Marine, Simon Coveney recently revealed figures on investigations into welfare incidents in the greyhound industry. One investigation led to a successful prosecution and a further two are due before the courts. In the last four years, there have been five cases of the destruction of identifications of greyhounds reported to Bord na GCon, the State body charged with regulating the greyhound racing industry. In all five cases, the earmarks or part of them had been tampered with. Andrea Lynch of the Greyhound Rescue Association of Ireland (GRAI) said there is little to stop owners “taking a dog to the top of a hill, shooting them and taking their ears off”. Removing part of the ear, which has a special tattoo to identify the dog, makes it difficult for the authorities to find those responsible. The main issue with greyhound welfare is not how they are treated while they are in the industry but what is done with them when they are no longer of use. Rescue shelters are packed with greyhounds and for charities like the GRAI, overturning misconceptions about these animals is a constant uphill battle. “People definitely do not see them as pets, people seem to almost be afraid of them,” Lynch told TheJournal.ie. “I remember walking one of my foster dogs and people weren’t exactly jumping out onto the road but it was almost like walking a lion down the street. People are afraid they’re going to eat their children or bite their children so they pass them up for other dogs. They don’t get that they’re sprinters, once they run around on the track then they’re done for the day. Though people may assume greyhounds are hyper and need endless walks every day, they are, in fact, very passive, gentle and often lazy dogs. They can make wonderful pets, Lynch explained, and though Irish people are now starting to realise this, there is a lot of work still left to be done. Right now, the dogs that do not completely disappear when the industry no longer wants them, are mainly being re-homed outside of the country. The Irish Greyhound Board said it encourages owners to re-home their greyhounds when greyhounds racing careers come to an end through a registered charity set up in the mid-nineties. “Retired Irish greyhounds are increasingly being sought out by families as pets throughout Europe and North America due to their easy going, gentle nature and ease of keep as a low maintenance companion animal,” the board said. It has been in touch with the ISPCA recently to ask that any welfare issues be brought to its attention. Email “Thousands of greyhounds just disappear each year - what's happening to them?”. 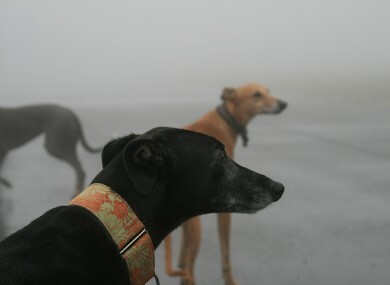 Feedback on “Thousands of greyhounds just disappear each year - what's happening to them?”.